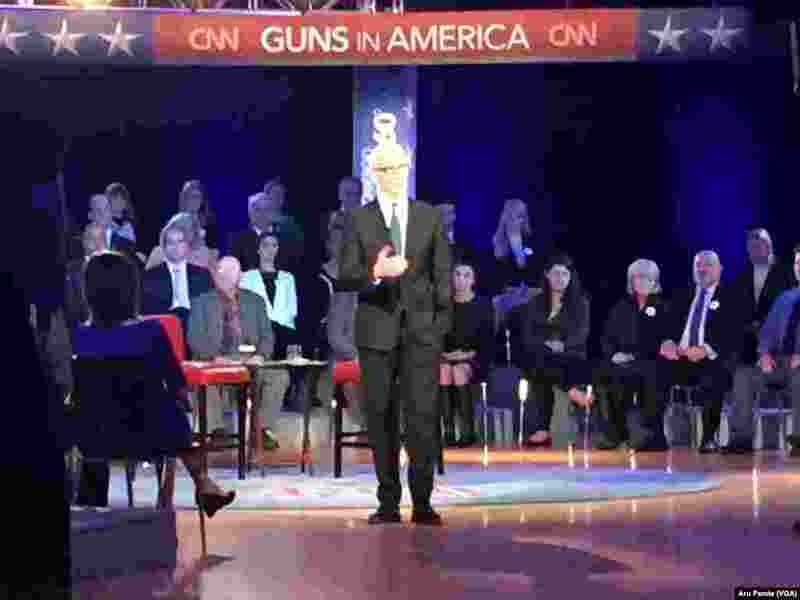 President Barack Obama took part in a CNN televised town hall meeting, hosted by Anderson Cooper, at George Mason University in Fairfax, Va., Jan. 7, 2016. 1 Former U.S. Rep. Gabby Giffords of Arizona, in green jacket, and her husband, Mark Kelly, left, participate in President Barack Obama's televised town hall at George Mason University in Fairfax, Va., Jan. 7, 2016. 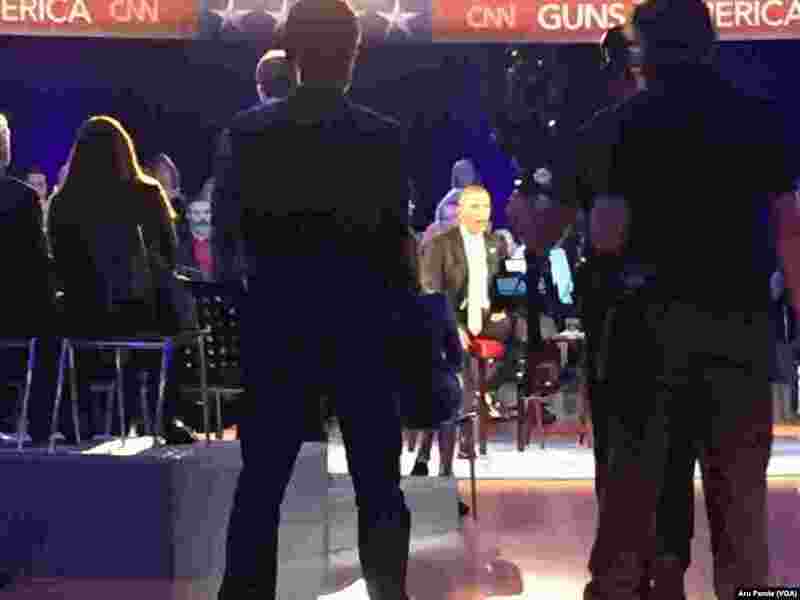 Gabby Giffords was shot during a campaign event in Arizona in 2011. 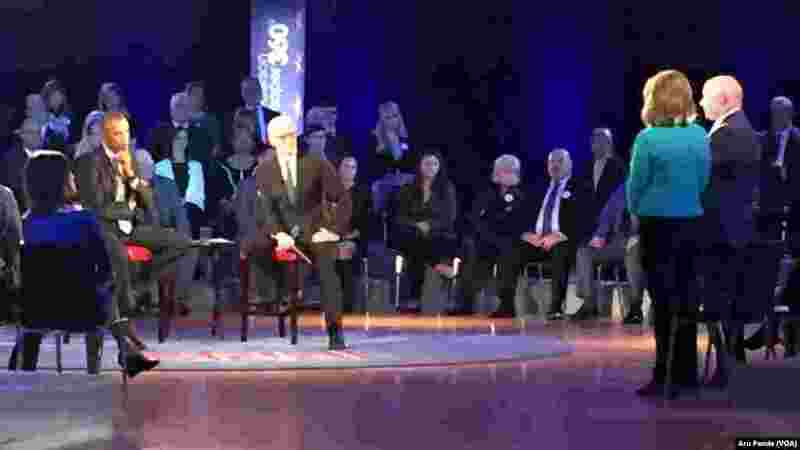 2 Anderson Cooper hosts a CNN televised town hall meeting with President Barack Obama, not shown, at George Mason University in Fairfax, Va., Jan. 7, 2016. 3 President Barack Obama, left, speaks during a CNN televised town hall meeting hosted by Anderson Cooper, right, at George Mason University in Fairfax, Va., Jan. 7, 2016. 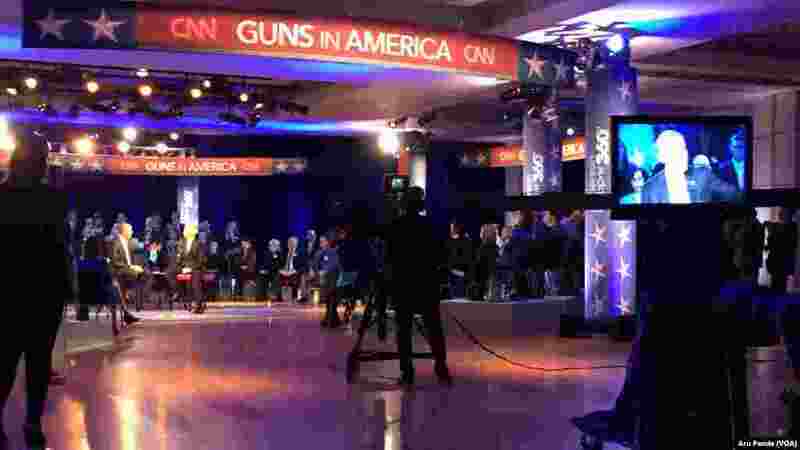 4 President Barack Obama can be seen through attendees of a CNN televised town hall meeting hosted by Anderson Cooper, not shown, at George Mason University in Fairfax, Va., Jan. 7, 2016.